New Epic 3 Day California Island Adventure! See Bald Eagles, Sea Lion rookeries and pristine California coastline! Santa Barbara Adventure Company is excited to announce an incredible new island adventure this summer. Come explore 3 of California’s beautiful Channel Islands on a multi-day trip. 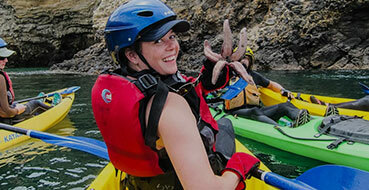 Snorkel with sea lions, kayak pristine coastline and hike to breathtaking vistas. Fully guided, all meals and equipment included. Perfect for anyone who wants to go on an epic adventure! California Island Adventure.